iSense Sleep Mattress Review - Is it as good as Sleep Number? The iSense Sleep mattress is a revolutionary new mattress that was only recently released onto the open market. In this article we are going to be discussing the most important qualities of this mattress (such as its firmness level, how well it dissipates heat, how well it reductions motion transference, and so on) in order to help you to better determine whether or not this mattress is a good match for you. Our full review will be up soon and we will include all the details on what to expect form this mattress. When you purchase a new iSense Sleep mattress, you are offered three different shipping and delivery options to choose from. The first option is the “Standard Residential Delivery” option. 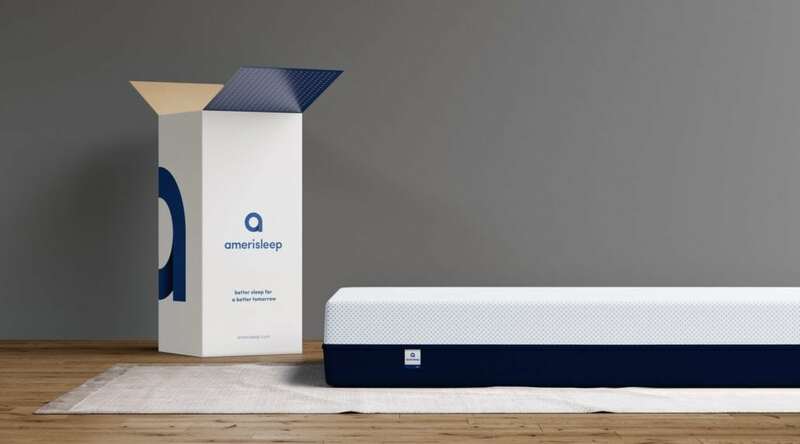 This option is entirely free of charge, and entails your mattress being shipped to you within seven to ten business days of you placing your order. 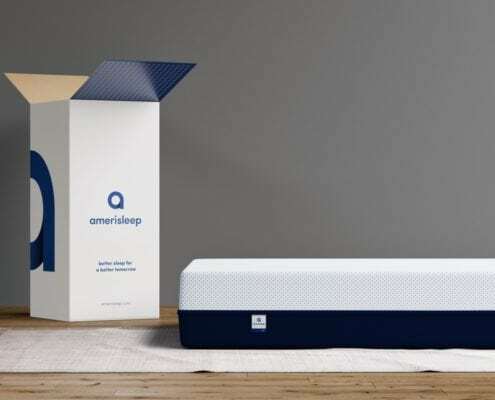 Your mattress will arrive packed and sealed within a box and it will e up to you to assemble it and set it up; thankfully, the set u process should be relatively easy and straightforward since the instructions will also come with the mattress. You can also contact the Comfort Control Specialists if you need additional assistance with setting up your mattress. The second delivery option is the “Threshold” option. This option involves a team of “delivery agents” bringing your mattress to your home fully assembled. They will bring your fully assembled mattress to the threshold of your home (either to your front door or the street-side curb outside your home depending upon your individual preference). Once it’s been delivered, all you need to do it hook up the air control unit, attach it to a power source, and you’re all set. And as with the Standard Delivery option, if you have any issues whatsoever, you’re encourage to call the customer service department to speak with a Comfort Control Specialist. Also, unlike the Standard Delivery option which is free, the Threshold delivery option costs money (just over one hundred and sixty dollars, to be specific). The third and final delivery option is known as the “White Glove In-Home Set Up” option. This particular delivery option involves your bed set being delivered to you via freight service and assembled by a specially trained local delivery agent. Additionally, this in-home assembly option can be easily scheduled for any time that is convenient for you; the local delivery agent will contact you to schedule a delivery appointment and the two of you will then coordinate a four-hour time-frame for arrival and set up. The delivery agent will also remove and dispose of all packaging materials (such as cardboard boxes and plastic wrappings) if you want them to do so, which can help save you time as far as clean up is concerned as well. That being said, this delivery option is also the most expensive, totaling out at just under three hundred dollars when all is said and done. Want an adjustable mattress. 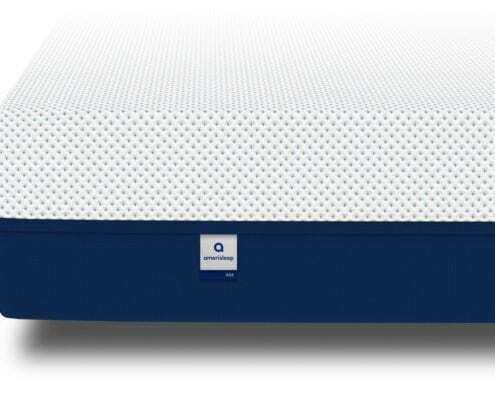 The cutting edge technology utilized in this mattress allows you to adjust the firmness level of your mattress on both sides, allowing you to customize the mattress according to your individual sleep needs. You can choose to have your side of the mattress be ultra soft, ultra firm, or anything in between. Furthermore, you can adjust this firmness level at any time using either the remote controller that comes with the mattress or via the matching smart-phone app that serves the same function. The special zippered cover that encases the mattress also allows for easy access to the interior, allowing you to shift those components around or replace them as needed, which adds a further level of customization to this already uniquely adjustable mattress. Share your bed with a partner. The ability to customize this mattress and adjust the firmness on either side according to your needs makes it a great choice if you share your bed with someone else; you can each choose your own firmness level from ultra soft to ultra firm without needing to worry about your partner being uncomfortable. Want great edge support. The construction of this mattress (particularly the “Botched Wrapped Rail” aspect that we will discuss further later on in this article) gives it notably better edge support and corner support when compared to other foam mattresses (which typically compress down very easily, which makes them bad for bearing weight on the edges). This means that with this mattress you don’t need to worry about breaking down the perimeter of the mattress if you sleep or sit on the edge. Want great temperature regulation. The iSense Sleep mattress is also designed for better heat dissipation and temperature regulation, unlike other memory foam mattresses which typically absorb body heat rather than dispel. This mattress, however, is designed to have better air flow and be more breathable, which allows for body heat to be released rather than absorbed into the mattress. This allows you to sleep cooler at night without overheating and becoming sweaty and uncomfortable. Do not like memory foam. If you don’t enjoy the feel and texture of memory foam, then this mattress is probably not a good option for you (since it is made almost entirely out of different foam materials). Are on a budget. 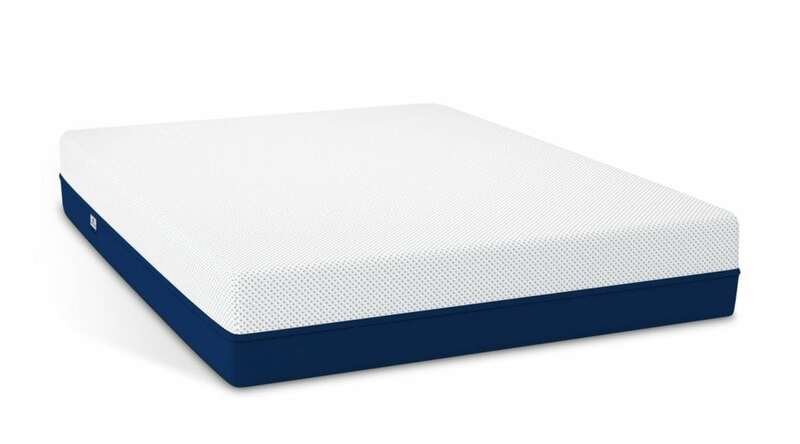 Because the iSense Sleep mattress is of such superior quality when compared to other mattresses currently on the market, it is a bit on the expensive side (especially if you decide to opt for the Threshold or White-Glove delivery options, which cost extra). One of the most unique and interesting qualities of this mattress is the fact that it offers “dual zone adjustable firmness”. This means that you can customize the firmness of both sides of your mattress according to your personal needs and desires; whether you want one side to be soft and the other side firm, or both sides to be medium-firm, you can make it happen. 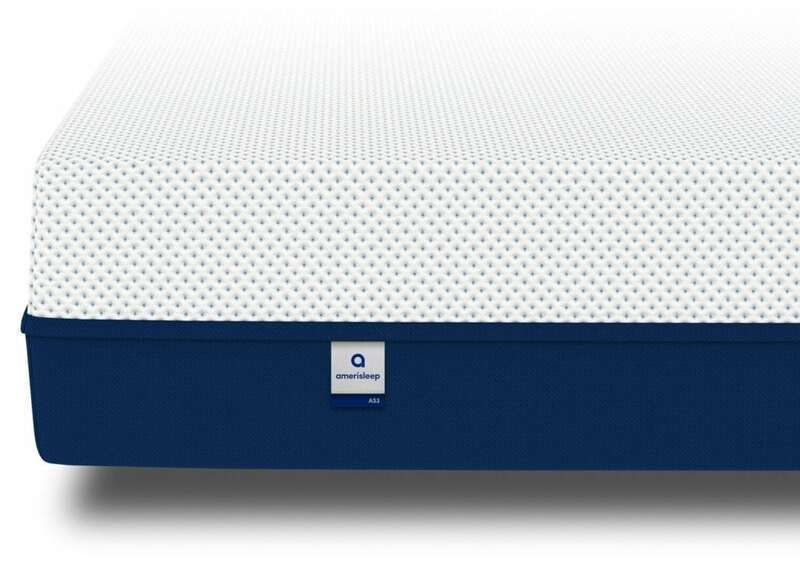 Furthermore, this firmness level is not permanently locked in; thanks to the cutting edge technology utilized in the construction of this mattress, the firmness levels of both sides can be adjusted at any time by using the matching iSense Sleep smart-phone app. This app allows you to adjust the feel of each side of the mattress according to your needs; the mattress has firmness options that range from”ultra soft” to “ultra firm” with quite a few different settings in between those two extreme options, so it’s all but guaranteed that you’ll find a firmness level that works well for you. This feature can be especially beneficial if you share you bed with another person, because you can have your side of the bed at the firmness level that you prefer while your partner gets to have the firmness level that they prefer. Additionally, the iSense Sleep also comes with a remote controller that you can use to adjust the firmness setting as well, so you can utilize this revolutionary new mattress even if you don’t have a compatible smart phone. When it comes to reducing motion transference (the phenomena that occurs when movement on one portion of the mattress causes vibrations that spread throughout the rest of the mattress) this mattress is a good choice because it is made entirely out of different foams. That being said, because the firmness level is adjustable on both sides of the mattress, you may experience different levels of motion reduction depending upon whichever setting you have your mattress on. A firmer setting, for example, will likely exhibit greater motion transference than a more plush setting because the firmer setting is more responsive to movement and therefore less effective when it comes to absorbing vibrations caused by movement. This mattress may give off some slight odors when it is first unpacked, but nothing too terrible. Additionally, any strange smells that you do encounter are almost definitely going to be the result of the packaging process rather than anything coming from the mattress itself (which is made out of only the most high quality memory foam materials and constructed according to rigorous health and safety standards). Ultimately, as long as you give your mattress a little bit of time to air out after being unpacked, the odor should dissipate quickly and leave you free to use your mattress. Most memory foam mattresses generally don’t offer very much in the way of edge support; this is because memory foam is, by both nature and design, easily compressed when it bears weight. While good for pressure relief and comfort, this easy compression results in somewhat substandard edge support. Luckily, the iSense Sleep mattress averts this common problem. Thanks to what the company calls its “Notched Wrapped Rail Construction” (which both keeps the internal components of the mattress in place while giving the perimeter of the mattress greater stability and solidity), the iSense Sleep mattress has greater edge support and corner support than any other foam mattress currently on the market. This means that when you use this mattress, you shouldn’t need to worry about rolling off the mattress or feeling unsupported even if you end up sleeping on the edge; this higher-than-usual level of edge support also means that you can even sit on the edge of the iSense Sleep mattress for brief periods of time without needing to worry about damaging the integrity of the mattress. The iSense Sleep mattress consists of four main layers, all of which are made out of different types of memory foam materials; this foam-on-foam construction allows for greater levels of comfort and pressure relief. 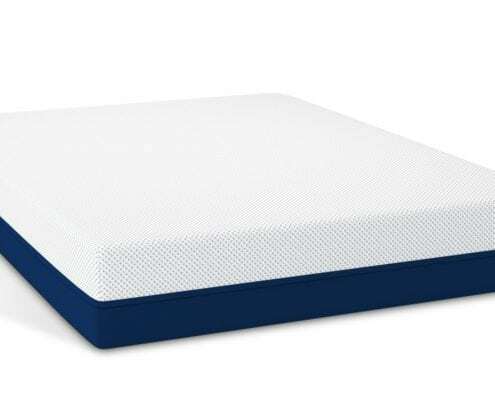 The top layer is constructed out of ThermaPhaseGel Foam, which helps to promote better comfort and temperature regulation while you sleep, allowing you sleep through the night without becoming overheated and uncomfortably. The next layer is made out of what the company website calls “highly resilient sculpted foam”. This second layer is specially designed to offer great support while also helping to increase air flow through the mattress, which allows for greater breathability and subsequently better heat dissipation. Additionally, this second layer also features a high density support core that helps to properly distribute your body weight and aid in pressure relief. The third layer, meanwhile, contains the patented VeriFoam technology that makes this mattress so revolutionary. It is this layer that allows for the easy adjustment and customization of the iSense Sleep mattress; thanks to this layer and the cutting edge technology it contains, you can choose between varying firmness levels for each side of the mattress. This means that you can always have the right combination of both support and comfort when you sleep. Finally, the iSense Sleep mattress also features what is described as “Notched Wrapped Rail Construction”. This particular aspect of the mattress keeps the internal components of the mattress in place while also giving the mattress fantastic edge support as well as corner support. This construction is also said to help make the mattress more compatible with adjustable bases. And in addition to that, the unique modular construction of this mattress means that you can replace or change out the internal components of the iSense Sleep mattress as needed; this helps to make the mattress even more customizable while also helping to extend its overall lifespan; if one part of the mattress wears out, you can simply replace that part with a new one. The iSense will work great on any solid surface. The floor, platform slats, boxspring/foundation and they now offer an adjustable base as well. Most mattresses constructed entirely out of memory foam have problems with heat retention; in fact, memory foam is virtually notorious for the way it absorbs body heat and holds onto it. The iSense Sleep mattress, however, manages to combat the natural heat retentive properties of memory foam with its revolutionary and cutting edge design. The top layer, which is made out of a special foam known as ThermaPhaseGel Foam, helps to promote better temperature regulation. 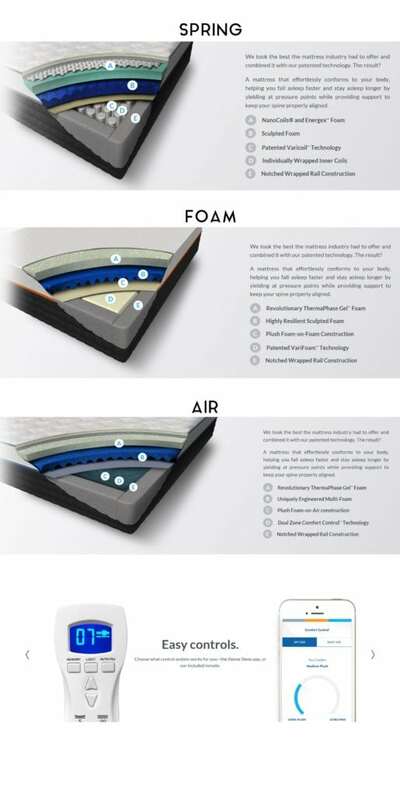 The sculpted foam that the second layer is constructed out of, meanwhile, helps to promote greater air flow and breathability, which in turn allows for better heat dissipation; this means that instead of the mattress and absorbing heat, it releases it instead, allowing you to sleep cooler at night rather than becoming overheated. The company behind the iSense Sleep mattress offers a generous trial period of one hundred and twenty nights. They believe that it can take a person up to forty-five days to adjust to sleeping on a new mattress, which is why they offer such as extensive trial period; they want you to be able to adjust to sleeping on the iSense Sleep mattress before making a decision as to whether or not it’s working well for your needs. Additionally, the company offers the services of its Comfort Control Specialists; you can contact these specialists at any time during your four month trial period if you are experiencing any issues whatsoever with your mattress. They will be able to help you figure out what the problem is and help you resolve it to your satisfaction. If a part of your iSense Sleep mattress is broken or damaged, for example, a specialist can help you order either new parts or a replacement mattress. Alternatively, if you’re having trouble finding a firmness level that meets your needs, a specialist can help you with adjusting the mattress and calibrating it for your specifications. Also, in addition to the generous trial period of one hundred and twenty days, the iSense Sleep mattress also comes with a limited warranty that is good for a period of ten years. This warranty will cover any product defects in your mattress as well as any issues caused by or related to substandard workmanship. That being said, if you do end up having a problem with the quality of your mattress and would like to file a warranty claim, you will need proof of purchase on hand when you contact the customer service department (your original order number should be sufficient) as well as photographic evidence of the defective or damaged portions of the mattress. Should you desire to look over the specifics of the ten year limited warranty, it is available here on their website.